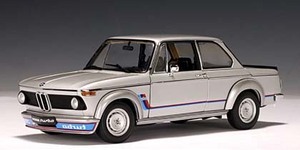 BMW 2002 Turbo Silver 1-18th scale by AUTOart at Modena Motors Inc.
Long discontinued and hard to find. LAST ONE!! !